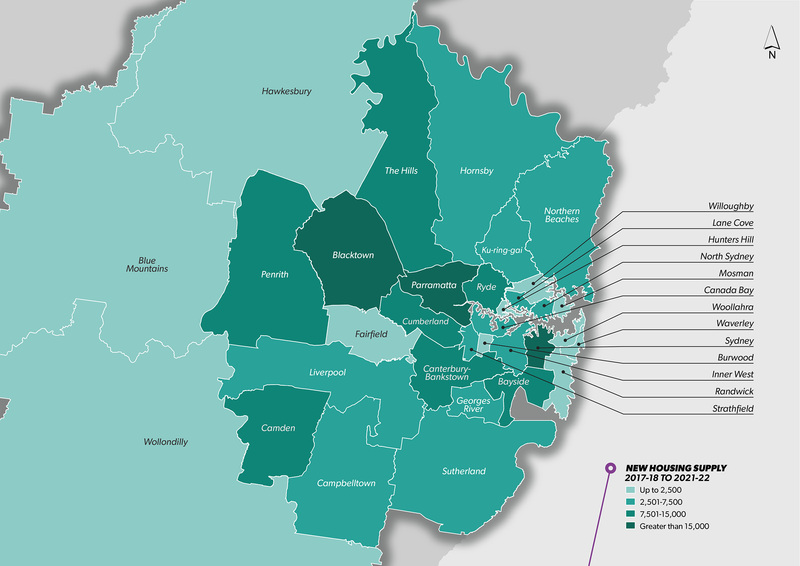 The Department forecasts the construction of 196,750 new homes in Greater Sydney in the next five years, based on current programs and initiatives. This is a 46 per cent increase, or an extra 62,050 new homes, compared with the last 5 years when 134,700 new homes were completed. This high level of new home construction comes on the back of record housing approvals and commencements, a strong economy, high levels of population growth, a booming housing market, and record low interest rates.